Michael Gove appeared before the Justice Select Committee last Wednesday, in the first true baring of his political mettle as justice secretary. Overall, it seems, the MP made a largely favourable impression, though legal commentators remain wary. UKHRB’s own Adam Wagner deftly compared Gove’s success to “when they gave Obama the Nobel Peace Prize…because he wasn’t George Bush”. The “post-Grayling Gove-hope” may, then, prove deceptively shallow, defined by the simple relief that Gove is not Grayling. Yet Gove’s evidence before the committee was laudable – reasonable, measured, and skifully non-committal. Gove’s comments on the Human Rights Act obliquely signalled the “proposals” will be published “in the autumn”, failing to specify whether they would be accompanied by a draft Bill. His substantive points were similarly vague. The Lord Chancellor invoked the “abuse” of human rights as justification for the repeal of the HRA, before conceding he could not offer a “one-hundred per cent guarantee” that the UK would remain a party to the Convention. Such a position suggests a British Bill of Rights may “seek to limit certain rights”, argues academic Mark Elliot, which would, “quite possibly”, precipitate British withdrawal from Strasbourg altogether. Gove also stressed the role of the judiciary in applying the common law to uphold human rights, holding that “there is nothing in the Convention that is not in the common law”. Such a view is “highly contestable at best, plain wrong at worst”, holds Elliot, whilst Conor Gearty finds it stokes the fantasy of “the civil libertarian common law”. Gove seems to suggest that HRA-repeal and possible ECHR-withdrawal would be “far from earth-shattering events”, Elliot notes, as judges could still invoke a panoply of common-law rights. Whilst Gove is right to remind skeptics that HRA-repeal would not leave domestic judges powerless, such “overstatement” of the common-law rights model “might end up hoist on its own petard….ringing hollower than its cheerleaders”. The Round-up: A British Bill of Rights on the Horizon? ‘The Conservative Party has won a majority and can implement its manifesto. The Human Rights Act will be scrapped,’ writes Colin Yeo for the Free Movement blog. 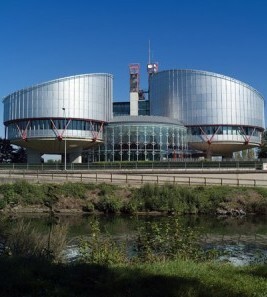 Such an outcome might not be a foregone conclusion, but Professor Mark Elliott is clear that ‘repeal of the HRA, the adoption of a British Bill of Rights and perhaps even withdrawal from the ECHR are now less unthinkable’. The HRA has failed to secure resilience in domestic politics. Benedict Douglas for the UK Constitutional Law blog attributes this failure to an absence in the Act of a ‘justification for rights possession in dignity or any other foundational human characteristic’. Mark Elliott points to the manner of its introduction: little effort was made ‘to engage the general public in what was perceived to be a political and legal elite’s pet project’. The Human Rights Act and a Question of Legitimacy – Barrister Austen Morgan considers the advantages of a British Bill of Rights for The Justice Gap. What does a Conservative Government Mean for the Future of Human Rights in the UK? – Professor Mark Elliot puts together a useful list of recent posts he has written on Conservative plans for reform. Michael Gove has been appointed Justice Secretary and Lord Chancellor in the post-election Cabinet. The Telegraph reports here. BBC: Two Syrian asylum seekers imprisoned for failing to provide passports have been successful in appealing their convictions. The High Court has ruled that a child should be brought up by her genetic father and his male partner, despite objections from the surrogate mother. The Guardian reports. The Justice Gap: The Uk Supreme Court has launched an on-demand video catch-up. Mark Freedland and Jeremias Prassl express concerns over the impact and regulation of ‘zero-hours contracts’ for the Oxford Human Rights Hub. The case concerned the imposition of administrative fines on individuals who had been acquitted by the criminal courts of the same offence. The ECtHR found a violation of the right to a presumption of innocence (contra. Article 6 ECHR) and also the right not to be tried or punished twice (Article 4 of Protocol No.7). ‘In Conversation with Sir Stephen Sedley’ – As part of LSE’s Legal Biography Project, Sir Ross Cranston will interview Sir Stephen Sedley on his life and career in the law. The event will be held on 19 May in the Wolfson Theatre, New Academic Building. More information can be found here. Former Australian High Court Justice Heydon’s thought-provoking speech questioning the efficacy and indeed the very merits of the Human Rights Act deserves reading in full, but the following summary highlights its main features and should encourage readers to immerse themselves in the lecture. Proponents of human rights instruments urge their necessity on society because they gesture toward a morality more capacious than the morality of our tribe, or association, or nationality. The forum of human rights is one in which our allegiances are not to persons or to wished-for outcomes but to abstract norms that are indifferent to those outcomes. That is why the Human Rights Act has around it what Heydon calls an “aura of virtue” that would make its repeal extremely difficult from a political point of view, even though it is legally and practically possible. There was no unfairness in the Secretary of State for the Home Department refusing a Sri Lankan asylum seeker leave to remain in the United Kingdom, despite the ruling from the Strasbourg court that to return him would violate his rights under Article 3 of the European Convention on Human Rights 1950. A decision had been made to grant the applicant six months discretionary leave to remain but he had absconded before it could be implemented, and by the time he resurfaced the secretary of state had been entitled to review the case and determine that the circumstances in Sri Lanka had changed so that he was no longer at risk if returned. The claimant was a Sri Lankan national who had been subject to removal action after his asylum claim was refused. In 2008 the Strasbourg Court declared that the circumstances in Sri Lanka were such that his expulsion to Sri Lanka would violate the prohibition on torture and inhuman treatment under Article 3 (AA v United Kingdom). The UK authorities consequently confirmed that removal directions would not be applied to him, and stated that he would be granted six months discretionary leave to remain (DLR).